How Should Financial Reform Serve the Real Economy? During the 13th Five-Year Plan (2016-20) period, China must improve the efficiency of the financial sector in serving the real economy. Following this principle, five major tasks should be undertaken, which include improving the financial environment to achieve higher efficiency in resource allocation, supporting innovation and business startups, facilitating the role of investment in stimulating growth, and developing a system of diversified financial institutions. In order to improve the financial environment to attain higher efficiency in resource allocation, market-oriented reforms in interest rates, exchange rates and treasury bond yield curves need to be completed. Interest rates represent the price of capital, and thereby offer a standard for the allocation of real resources. A non-market-oriented interest rate system may lead to a distortion in resource allocation. The government must therefore accelerate its market-oriented reform of the interest rate system, with the goal of allowing the market's supply and demand to decide the formation of the interest rate. The reform should also focus on the interest rate transmission mechanism, as well as improving the central bank's market-based regulation capacity. The role of exchange rates is to effectively allocate monetary resources throughout the world. To improve its efficiency in resource allocation in both domestic and global markets and to achieve a balance of international payments, China must improve the market-oriented exchange rate formation mechanism of the yuan. As for the treasury bond yield curve, this concerns whether or not the pricing of various financial products is effective. If basic prices are not adequately formulated, the pricing of all a country's financial products will be negatively affected. Supporting innovation and business startups is also one of the focal points for China's financial industry during the 13th Five-Year Plan period. Since there are huge uncertainties and risks regarding innovation, the financial industry should accommodate "trial and error" policies, make choices with the real economy in mind and assume responsibility when taking unavoidable risks that are inherent to innovation, so as to support industrial development. In this regard, the financial market, which provides direct financing, is more effective than financial intermediaries, which provide indirect financing. allows everyone to express their views and allows investors to make mistakes. Hence it is more appropriate for direct financing to handle uncertainties, innovation, new ideas and economic activities. For the above reasons, the government must vigorously develop the capital market, especially the venture capital market, to support innovation. During the 13th Five-Year Plan period, investment will still play a key role in economic growth. This means that raising long-term funds is still one of the primary goals in China's financial sector. Mismatches in maturity and equity have long been major defects in China's monetary mobilization system. On commercial banks' balance sheets, the proportion of mid- and long-term loans is increasing, bringing higher risks. In the next five years, the government must set up mechanisms to raise long-term funds and equity capital. The key requirements to setting up those mechanisms include vigorously developing capital markets, especially those supporting small business startups and local business startups, establishing diversified long-term credit institutions and developing more diversified industrial investment funds. The 13th Five-Year Plan vowed to improve the financial institution system where finance in the commercial, development, policy-based and cooperative sectors complement each other. today's complex and thorny global society cannot be solved through mere commercial finance. Policy-based finance has played a very important role in addressing the global financial crisis. Without policy-based finance, the disposal of toxic assets, the reorganization of problematic financial institutions and the recovery of social confidence would have been impossible. In the next few years China will inevitably face problems regarding the disposal of non-performing assets, which currently rely on various types of financial institutions to survive. Different financial measures are also needed to cope with the challenges China is likely to face, such as massive investments in infrastructure. 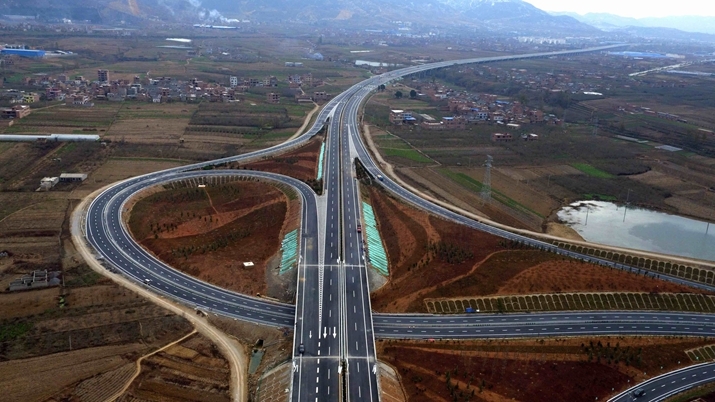 Modernized industrialization, integrated development of urban and rural areas, new types of urbanization and the Belt and Road Initiative all need large amounts of funding—and commercial finance is not the only solution. • Threading Ties between China and the U.S.